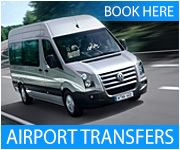 Click here for quality Car Hire in Lisbon. We have the most modern fleet of approx 8000 cars in Portugal at our disposal and we offer top quality service. This is 'care free' car rental! Booking direct you save 20-50% tour operator/hotel commission! Lisboa Live is the easiest way to research, reserve and pay for your Lisbon stay online... at unbeatable prices! Within our site you will find a wealth of excellent Lisbon hotels and resorts, self catering apartments, special offers and information for business trips and group holidays, plus many other exceptional services that we have negotiated for you at extra special prices.